Worthington Wedding District Hosts 3rd Annual Worthington Wedding Walk Wedding season is upon us, and the folks behind Worthington’s Wedding District are gearing up for this year’s Wedding Walk on May 15 from 1 to 5 p.m. Boasting more than 20 local vendors, the Wedding Walk offers engaged couples the chance to meet and consult with the talented and experienced merchants that call Worthington home. If you’re planning a wedding, and you live in the area, you'll be glad to learn that downtown Worthington has everything you need. Igloo Letterpress is Worthington’s go-to source for all things letterpress. From traditional staples to custom designs, the professionals at Igloo love to help couples create gorgeous invitations that suit their style. Whether you’re looking for a grand ballroom to accommodate 100 of your closest friends or an intimate gourmet dinner with family, the historic Worthington Inn is the perfect place to host your upcoming wedding reception. You’ve been dreaming about the perfect dress for years, and thanks to LUXE Redux Bridal your dream can become a reality. Specializing in once-loved, designer dresses (think Vera Wang) at discounted prices, you’re sure to find THE dress at LUXE Redux. * LUXE Redux will be showcasing their designer gowns on models stationed throughout downtown Worthington during the event, so keep your eyes peeled. Attention, grooms! Why rent an ill-fitting suit or tux when you can buy an expertly tailored one for nearly the same price? Pursuit specializes in stylish suits and tuxedos that your wedding party will look dashing in for years to come. Between Seedling Photography and Coley & Co , Worthington is your destination for gorgeous wedding photography. Both companies will be on site during the event, and they're excited to showcase their extensive portfolios and unique styles. Hydrangeas, Peonies and Roses, Oh My! Worthington’s newest full-service florist, Madison House Designs, creates natural and organic floral arrangements for all occasions – including weddings. 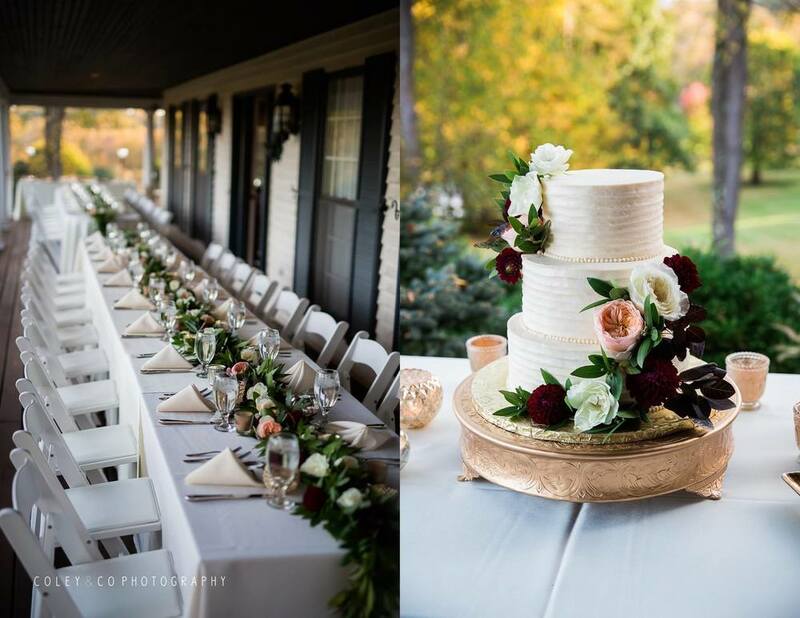 With more than 15 years of experience, Owner Lynette Higginbotham loves working with brides to create a unique aesthetic for each wedding style. Searching for a gorgeous wedding band for the bride and groom? You’re in luck! Worthington is home to two family-owned jewelry stores – Denig Jewelers and Worthington Jewelers. Both stores feature an extensive collection of designer jewelry that will make your special day sparkle. Although the event is free, it’s a good idea to pre-register. Just like last year, participants who pre-register will have the opportunity to win incredible prizes, including this year’s grand prize of $500 towards a cruise from Magic Cruises and Tours, a Pour-Your-Own Candle Party at The Candle Lab, and a gentleman's Tungsten carbide wedding band from Denig Jewelers. As a special addition to this year’s event, Honey & Blue, Worthington’s favorite sultry singing duet, will be serenading attendees with live music on the Dewey’s Plaza. For more information, including a full line-up of this year’s participating vendors, visit www.worthingtonweddingdistrict.com.